Nothing beats the exquisite anticipation of your first cold beer on a hot summer evening. 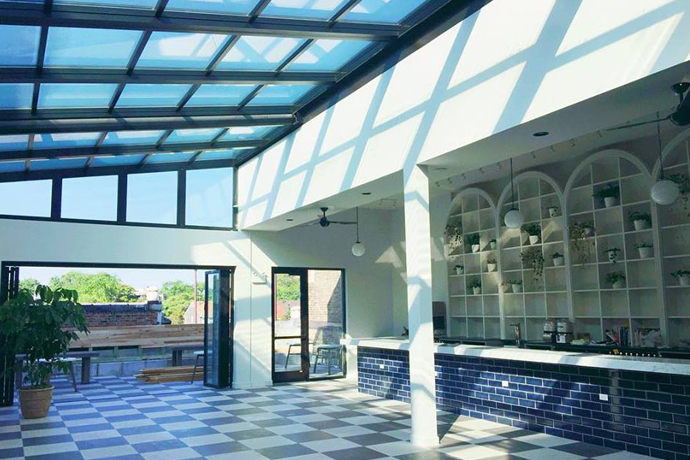 Presenting Atlas Brewing Company, soft-opening tonight in Lincoln Park with fresh mussels, juicy burgers and plenty of cold beer—and more on the way. You’ll do it in a solidly handsome pub—vintage beer labels on the wall and beer growlers reborn as pendant lights. And yes, there are other local beers to be had. At the bar, you and a group of intimates can munch on black-pepper Parmesan pistachios over Kidnapped by Vikings IPA from new Naperville brewery Solemn Oath. Then, for dinner, just commandeer a booth, and hail over some beer-and-bacon mussels and stout-braised burgers. But if your intimates decide on bowling, you’ll find a hidden passage leading to the upscale alley next door, Seven Ten Lounge.